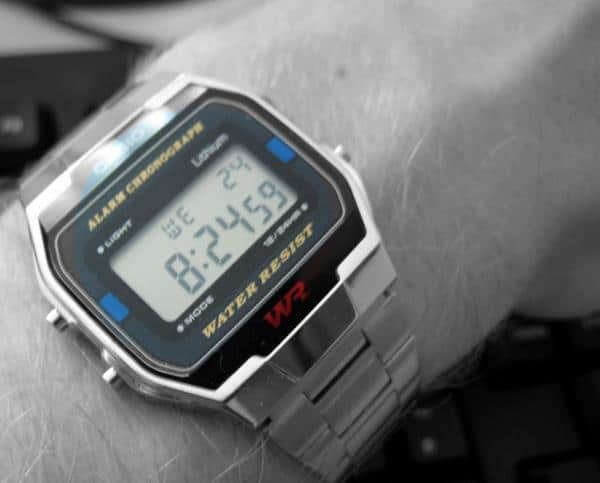 Let’s go back to talking about watches; after seeing the best smartwatches for runners we want to find out which are the best retro style watches. These are models that have made history, that have made generations fall in love and that today you can still buy at affordable prices. Wearing one of the retro style watches allows you to show off a piece of nostalgia and elegance; we live a period in which the recovery of the past seems to be in fashion and that of the wrist watches is a very fascinating sector where fashion and design are the masters. The fascinating and curious aspect of retro-style watches is the ability, in their simplicity, to be beautiful and elegant. They are not ultra-technological models of the latest generation, nor can they boast high performance and technical characteristics. These are clocks with very simple lines that only serve to indicate the time. The wristwatch is, for both men and women, an essential and very important accessory for your outfit; then we discover which are these most interesting retro style watches to buy to be able to go back to wear an extremely fascinating and enormously elegant model. 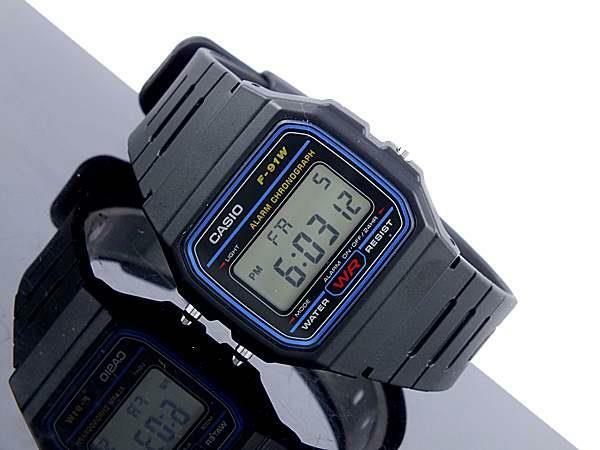 The 3 best models of retro style watches that we will now see are all Casio, this because since the eighties the Japanese company has created models that have literally made history and that still attract great attention. For almost half a century men and women from all over the world, including important international figures, have chosen and wore these watches. One of the characteristics of these models is simplicity, not only from an aesthetic point of view but also in construction and assembly. This simplicity, unlike many models on sale today cheap, also corresponds to one great resistance, which is why they are much appreciated and continue after a long time to be the subject of great attention and charm. 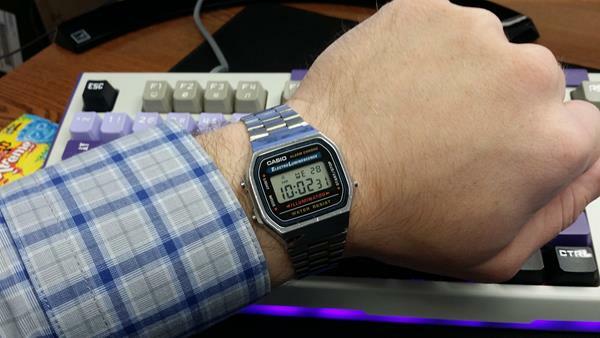 The Casio F91W-1 is perhaps the best example of retro-style watches. Since 1991, the year of its entry into the market, this simple digital clock has started to reap huge success. It is equipped with a small LCD display, three buttons to control the different functions and the display lighting to control the time even at night. 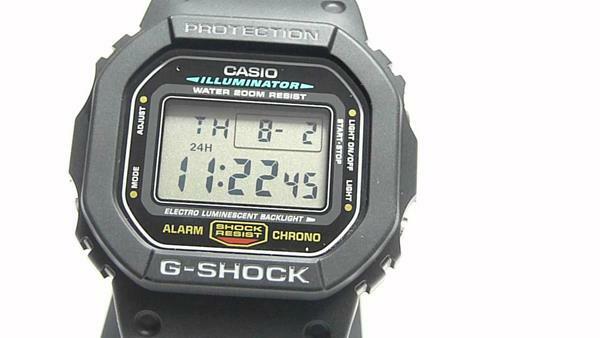 In addition to the watch, there is an alarm, a calendar (programmed until mid-twentieth century) and a stopwatch. It is not waterproof but the battery can last up to ten years. Of this model, there are also versions in gold and steel, but the plastic one remains the most widespread and fascinating. Another unique model of its kind is the Casio CA53W-1. Equipped with a calculator with a lot of numeric keypads was in the eighties and nineties a must for all students who could show off during the various school lessons. 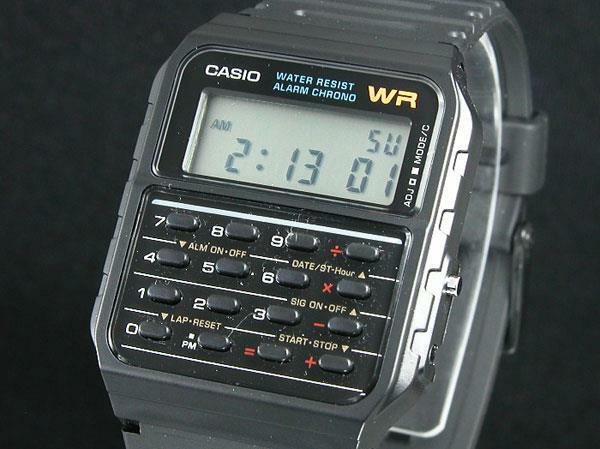 It has a 34mm case, the shell and the strap are black and in addition to the calculator has the function of time zone and calendar. Probably it is not very practical to use the Casio CA53W-1 calculator (smartphones are definitely more comfortable), but the retro style is also this: the victory of elegance, memory, and design on practicality and comfort. If the previous models appear excessively fragile with the Casio G-Shock DW5600E-1V even every fear of this type is greatly exceeded. The G-Shock line was presented in the eighties with special shock absorbers able to protect the watch from heat, cold, shock and even water (up to 200 meters), making it virtually indestructible. It has all the basic characteristics of Casio’s retro-style watches (alarm, stopwatch, and calendar) and despite its larger size compared to other models (the case is 45mm), it remains a historical and beautiful model to wear; a choice of great impact on the wrist.